If you carry a gun every day (whether you’re police, military, security or civilian), you know the day might come when you have to use it. If your life is on the line, you need to be able to trust the ammunition in your weapon. 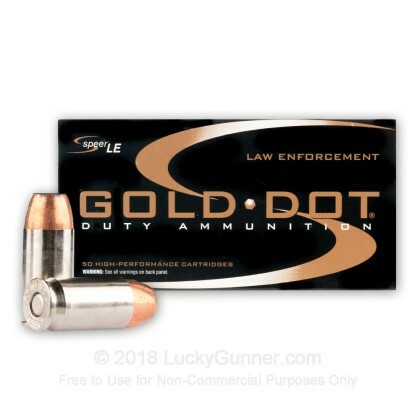 Thankfully, this case of 500 .45 ACP rounds from Speer’s Gold Dot line of ammunition contains enough top-quality ammunition to keep your carry weapon loaded up and let you get some practice in. 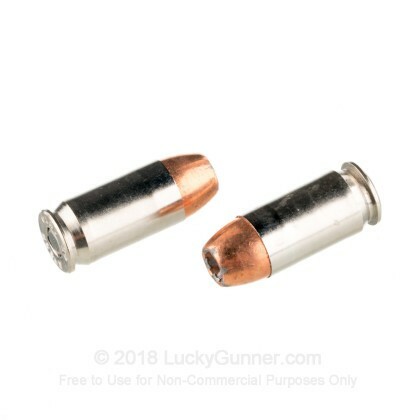 Every cartridge carries a 185 grain jacketed hollow point (JHP) bullet in a boxer-primed brass case that’s nickel-plated to promote durability and smooth feeding. 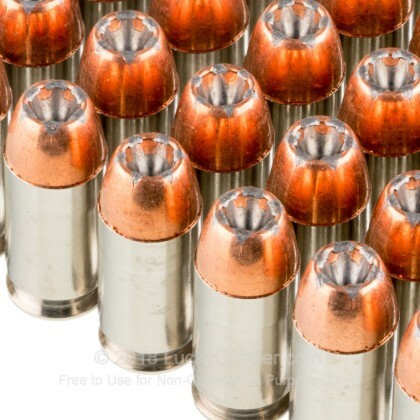 The .45 Auto bullet in each reloadable cartridge has been treated with Speer’s Uni-Cor bonding system that connects the lead core of the bullet with its copper jacket. This helps the bullet hold together and retain weight on impact, but the jacket is scored with fault lines that promote controlled expansion. These features give you the best of both worlds; the hard-hitting expansion of a hollow point with the durability of a fully jacketed round. 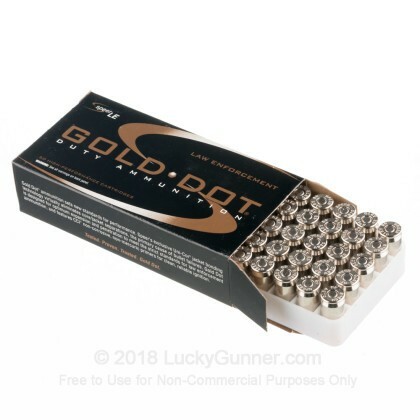 We don't have any reviews yet for this particular .45 ACP (Auto) ammo from Speer. 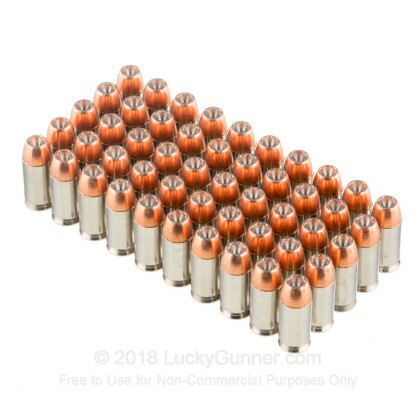 If you'd like to be the first to review this particular .45 ACP (Auto) ammo from Speer, fill out the form below. 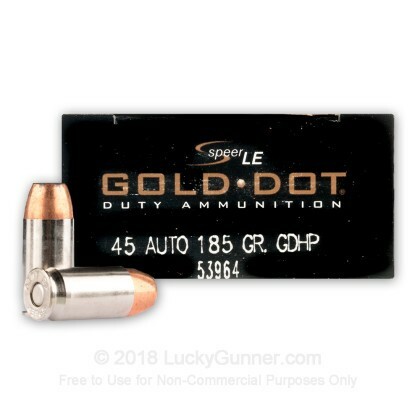 We also have this 45 ACP - 185 Grain Jacketed Hollow Point – Speer Gold Dot - 50 Rounds ammo in stock in a smaller quantity.